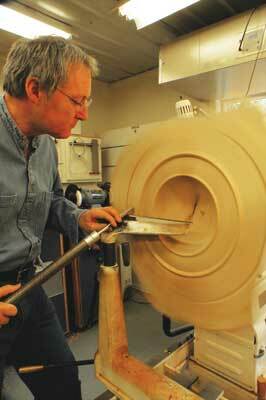 This month I had the pleasure of speaking to Canadian woodturner, sculptor and artist, Doug Fisher. I have admired Doug’s work for some time, most importantly, the way in which his creations are different to any others I have seen before. His work is incredibly accomplished and very unique, taking its influence from his appreciation of things past, as well as the Pacific Northwest Coast imagery of his home. 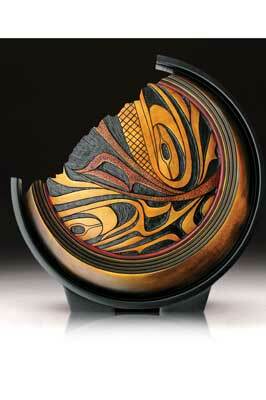 He is a member of the Vancouver Island Woodworkers Guild and the American Association of Woodturners (AAW). 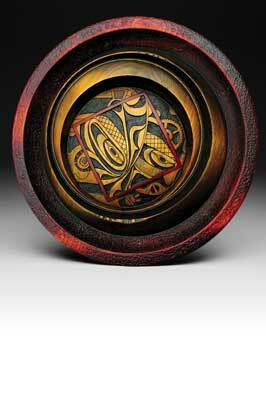 His work includes a combination of wall sculptures, free-standing sculptures, bowls and vessels. Doug’s Grandparents came from England and Scotland: “I come from a middle-class family and was taught that hard work and discipline are important. My father owned a small trucking company and I got to see first hand how much time went into keeping a business going. My mother was a homemaker and encouraged me to be whatever I wanted to be. She was very crafty and artistic and often had some craft projects spread out on the dinner table,” he says. As he was growing up he thought his prospects were to either work in a paper mill (which he did) or a grain elevator (which he also did). “As a young boy I remember wanting to sail single-handed around the world like Joshua Slocum, so I joined the local sea cadet corps to learn how to sail. I went from there to teaching others how to sail and eventually was crew on several ocean going vessels, including the famous yacht “Iolaire,” built in England in 1905, which I sailed from Venezuela to Ireland.” During these years Douglas experienced a great many different jobs, although the two that transformed him most as an individual were being a driller in several underground gold mines and being an ironworker (high rigger). Each one of Doug’s pieces intrigues me and I instantly noticed the very specific names he gives to each of his turnings. It is as if each one tells a story and is significant in its own way. Douglas tells me about the timelessness of indigenous art, geological features (especially cave systems), spectacular architecture (especially very old churches and Rose windows) – all of which are valuable to him when he is planning his pieces. He also takes many influences from the art world, citing artists such as Monet, Seurat, Rodin and Bernini – all of whom stimulate his creativity. Doug’s work is made mostly from woods indigenous to Vancouver Island, such as big leaf maple or cedar, but occasionally he likes to use cherry, walnut or cocobolo. He tells me how the time put into carving the piece averages around 80% of the total time put into the piece. He then applies lightfast wood dyes and acrylic for colouring, which is when the piece comes alive. He builds the colour up by layering to create an old world, timeless quality. Several coats of lacquer are applied which deepens the colour and adds even more depth. Today, Doug’s work is divided into two groups: his Pacific Northwest series and his collaborative work. He started out selling acrylics, stained glass, photographs, and pen and ink drawings, but his work has changed enormously over the years: “In 1997 I started out thinking that I would only sell functional bowls and platters and called myself a bowl maker. For the most part I sold at craft shows and a few small outlets. One day Canadian turner, Frank Sudol, visited my booth and told me that art was the way to go. How to go about it seemed daunting at the time, but luckily during another show I met well-known native artist, Harris Smith, who was looking for a woodturner to collaborate with,” he tells me. Over the course of their seven years together Douglas and Harris made thousands of art pieces and Harris taught Douglas his style of art. He was a friend and mentor and will always be missed. Impressively, one of their pieces is even in the collection at The Vatican. “The off-axis turning started from a design problem which was ‘how to utilise a basic element of native imagery, an offset circle within a larger circle’ but do it in a way that had not been seen before,” he continues. 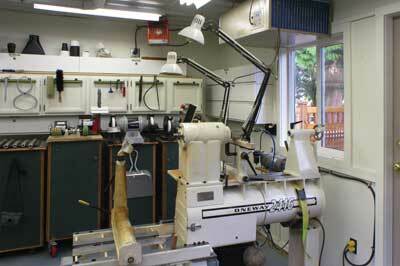 Doug’s solution was to become the most notable turning feature on most of the Pacific Northwest pieces since then. Douglas works to the ethos of conducting himself in a professional manner, only producing the best work that he can. In my opinion he succeeds on every count, producing pieces which are visually stunning and instantly captivating. He chooses to work in stages of production: “I will spend a week or two turning what I call my ‘canvasses’ then move on to the carving stage where all the larger areas are carved out of each canvass, then I will burn in all the smaller details. It is then on to the lengthy process of colouring the pieces and finally finishing with spray lacquer,” he tells me. Douglas loves the immediacy that turning delivers: “At the end of the day, I can have between three to six pieces completely turned. When I was making bowls it was between 10 and 20 pieces per day.” He loves the fact that turning yields quick results, despite the fact that the work that has to be applied to the piece after it has been turned can take a while longer, a feeling he is all too familiar with. 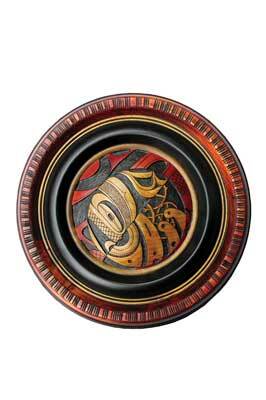 I am always interested to learn how different woodturners promote themselves. I have encountered a variety of methods and was eager to hear about the new website: “I promote myself through my website, which is constantly updated and the galleries where I have my work on display also promote me. Other than that, it is word of mouth,” he says. Doug’s work speaks of complete accomplishment, so I was interested to hear about his thoughts for the future and where he sees his turning career heading: “As well as continuing with my Pacific Northwest series I will be starting two new ones: the Padirac series based on two cave systems in France, and the Rose series based on my interpretations of Rose windows. Hopefully they will be just as well received. I would like to see my work in several public collections,” he says. Doug’s ‘Padiric’ series became available to view on the website from mid-August this year. Incredibly, despite his achievements over the 12 years of his turning career, Douglas says he feels he is a relative newcomer to woodturning. 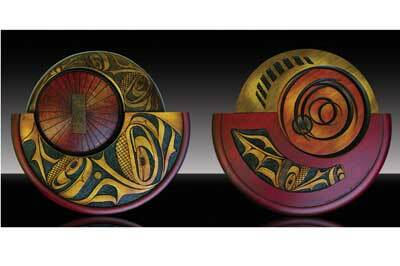 To view more of his exquisite pieces, plus the new pieces on offer, see Doug’s new website.